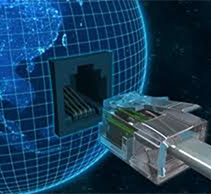 Tiecom can help you meet your data networking needs. We offer a total LAN / WAN or wireless LAN service including design, configuration and installation. Wireless LAN is an ideal solution if extensive cabling isn’t possible at your offices or if you’re looking for a simple network solution. We can customise a network solution completely based on your organisation’s needs.Tiecom offers LAN / WAN and secure wireless LAN solutions by leading technology providers Meru and Juniper. These wireless solutions are built specifically with mobility in mind and engineered to avoid the costly and complex overlay networks other architectures require.